As I've mentioned before, one of my very favorite stories to read is: Young person discovers they have paranormal powers. Adventures ensue. This book fits the bill, exactly. I was delighted and charmed by this book. As a bonus, it takes place at a boarding school, another favorite setting of mine. After fending off an attack by would-be-rapists, 16-year-old Maddie Dunn is shocked to discover that she has telepathic powers - which she has just used to overload her attackers' minds and kill. Dr. Williamson, basically a Professor X type character, shows up to rescue her from the ensuing police investigation and explains that Maddie is what's called "G-positive" - she has special abilities that can be honed further at a special academy in Vermont called Ganzfield. With the use of dodecamine injections, the students' abilities will be quickly enhanced. Once at Ganzfield, Maddie quickly learns that cliques at school have formed, based on student's abilities. Maddie is a fairly rare type, a minder. The two main groups are: charms, who bully the other students with their ability to compulse people into doing whatever they want, and sparks who can control fire. RV's or "remote viewers" and healers are a little less common; they mostly align themselves with the sparks, or try to stay unnoticed. 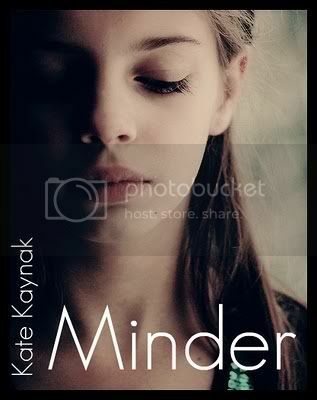 Trevor Laurence is the only student with telekinesis and he forms an instantaneous connection with Maddie. And that's really the bulk of the story, right there. Being able to share their thoughts, Maddie and Trevor immediately fall madly in love, without any of the misunderstandings or hedging typical in a new relationship. The thing that I found very clever about this novel was the explanation for why, despite the depth of their feelings, the characters don't immediately jump into bed together. Trevor is the product of a teen pregnancy himself, and he has grown up self-concious about this. It's hurt his self esteem, and causes him to feel extreme caution about getting into a relationship. Because Maddie is immune to the charms' powers, she uses her new influence at the school to turn things around and reign in the worst of the bullies. Both Maddie and Trevor know that their protectiveness of each other borders on stalkerish, and when Trevor is kidnapped by enemies of the Ganzfield school, Maddie springs into action. The ending lines up Maddie's team of fellow "G-positives" for what is sure to be a serial set of adventures. As I've said, I really enjoyed this book. I had a few things to quibble over, though. There were a few typos, and the cover was uninspiring. 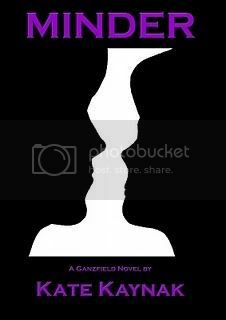 I thought the figures on the Rubin's vase cover look lumpy and unappealing - an odd choice for what is supposed to be a sweeping YA romance. The cover is so heinous, it actually inspired one fan to start a cover redesign contest, with very pleasing results. Don't all of these look about a billion times better than the original? 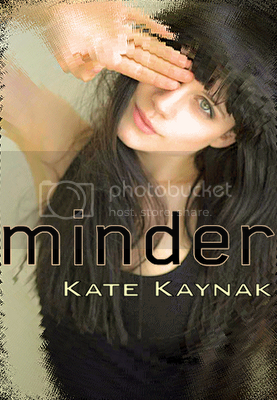 One major point of conflict for many paranormal romances is if the main couple will get together or not - with that source of tension gone, Kaynak does an admirable job of finding other dramatic issues for the main characters to contend with. The romance between Maddie and Trevor is saccharine sweet at times, and with Maddie being so talented even among the super-rare minders, she skates the fine edge of being a special snowflake. Still, the book offers plenty of adventure and solid world-building. It's attractively priced as an e-book - for only $2.99, why not give it a try? LOL @ special snowflake! That and the saccharine romance turned me off. I did like the premise though. I loooove the "young person discovers special powers" plot device. I need to explore more books like these. @Small - I liked the romance, even though it got a bit melodramatic. When he greets her in the cafeteria by thinking a message at her, I totally swooned. When he's kidnapped and she cries out, "Trevor, my love!" I rolled my eyes. This sounds like an interesting read. Was it anything like Cinda Williams Chima's The Heir series? It sounds like a similar plot.